Trailheads video guide: back in June, Trailheads reported on an innovative partnership called the Great Lakes College Consortium, which put students on board US Brig Niagara for three weeks to learn about maritime history and the art of sailing a large wooden ship. One of the students created a video of the experience; you can check it out on YouTube. Please note: The tour preference poll (to the right of your screen) closes tonight (10/29) at 11:59 pm, so make your Friday evening plans accordingly. Also, the deadline to submit nominations for new state historical markers is Jan 5, 2011 (click here for more info). November brings seasonal changes to some site schedules, so please be sure that the site you want to visit will be open when you plan to be there. 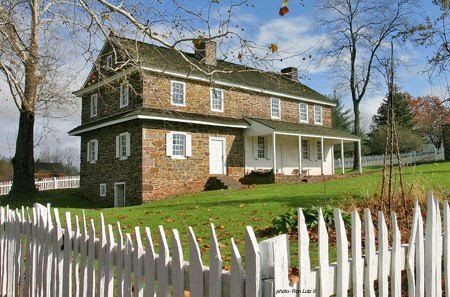 All sites on the Trails of History will be closed Nov. 25 for Thanksgiving, and most sites will be closed Nov. 11 for Veterans Day and Nov. 26 for the day after Thanksgiving (the Railroad Museum of PA will be open both 11/11 and 11/26). Despite having three holidays packed into the month, there’s a lot to do. 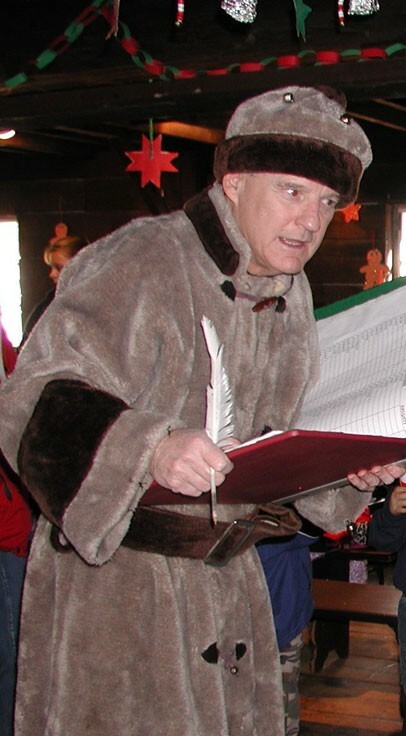 Nov. 9: Lecture, “The History of Campbelltown”—the speaker is local historian and author Don Rhoads, Jr., who will share information about the town’s 250th anniversary celebration last year. This is the final lecture of the 2010 series. Nov. 5-7: Trains and Troops—reenactors will portray soldiers, civilians and railroaders from the Civil War to the present on 11/6 and 7; the Swing Dance the night of 11/6 brings the 1940s alive in Rolling Stock Hall; a special night photo shoot on 11/5 requires registration (due today, apologies for the short notice). Check the website for ticket options. During November and December, RMP is collecting new, unwrapped toys (Toys for Tots) and non-perishable food items (Central PA Food Bank). Only 2 days left to respond to the tour preferences poll. C’mon, it’s good practice for voting next week! What do you get when you combine oil industry heritage with a group of die-hard trail runners from all over the eastern U.S.? 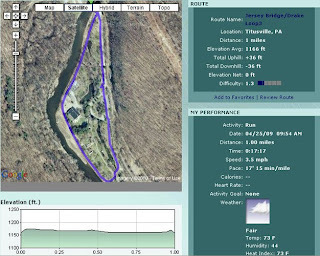 The Oil Creek 100 Trail Runs, that’s what you get. The OC100 took place around Titusville two weekends ago with over 200 runners in 3 distance categories—50K, 100K, and (pause for effect) 100 miles. That’s right, 100 miles. Overnight. Much of it on wooded hiking trails in Oil Creek State Park. Madness, I tell you—sheer madness. Okay, so maybe I’m more than a bit of a couch potato, but these folks are SERIOUS runners. 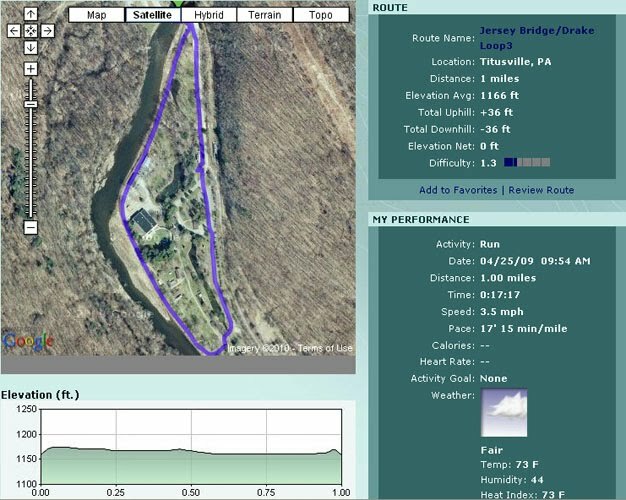 Even the 50K runners do more than a marathon, which is why this is called Ultra Trail Running. Anyway, the reason this is a topic on Trailheads is that this year, for the 2nd annual OC100, the course included a one-mile loop through the grounds of Drake Well Museum. The museum kept the (very noisy) Olin Hit and Miss engine operating during the night to give the runners something to take their minds off the searing pain in their legs (one runner mentions it in her blog post about the race). The tour preferences poll that went up last week will stay up for another week, so please take a few seconds to chime in (it’s on the right-hand side of your screen). No particular focus this week, Trailheads, just some updates on programs coming up this weekend. This is really last minute, but if you’re reading this in the morning (of Oct. 22) and you’re close to Erie, you can still catch “The War of 1812: Was It Necessary?” The symposium, offered by Erie’s Jefferson Educational Society at their center on State Street, includes Walter Rybka, director of the Erie Maritime Museum and senior captain of US Brig Niagara, as one of its speakers. The $20 registration fee is payable at the door; the program runs from 11:30 am to 1:30 pm. There’s still time to reserve a spot for tonight or tomorrow night (Oct. 22 & 23) at Ephrata Cloister's Mysterious, Melancholy, and Macabre, where you can catch up on all the chilling news from 1700s Lancaster County. Tours are offered at 7:30 and 9 pm; if weather permits, the program will be offered outdoors on the grounds by candlelight, so please dress accordingly. Call 717/733-6600 to reserve tickets ($10, members pay $8). Halloween tours at Eckley Miners’ Village will continue for a second weekend tonight and tomorrow, with groups leaving the visitor center every 15 minutes starting at 6:30 pm (doors open at 6 pm). 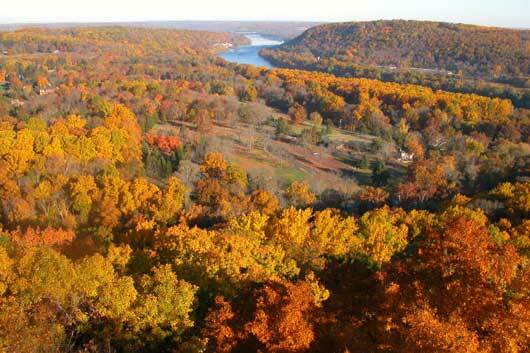 The 1.5 mile walk takes at least an hour, and visitors should dress for the weather and the rough pavement. Bring your own flashlight or purchase one at the visitor center when you buy your ticket. Ghosts and Star Gazing, presented by Washington Crossing Historic Park, will take place tomorrow night (Oct. 23) at Bowman’s Hill Tower at 7 and 8:30 p.m. A reading of Edgar Allan Poe’s short story, “The Cask of Amontillado,” will be included, as will a rare nighttime tour of the tower (guided by an astronomer as well as a historian). Tickets ($10) can be reserved by email (23Towersteps@gmail.com) or phone (215/862-3166). The program is not recommended for young children. Anthracite Heritage Museum will host Remember Johnny Mitchell Day this Sunday (Oct. 24). Mitchell was President of the United Mine Workers during the [anthracite] Coal Strike of 1902, which marked a turning point in U.S. labor relations (okay, I made that sound pretty academic, but don’t be put off—it’s a fun program). The program runs from Noon to 5 pm; admission is free! Last month I attended a symposium for historic house museum staff and volunteers that was aimed at improving the visitor experience. The more we learn about how people feel about going to museums and historic sites, the more we know that a visit is a complicated transaction. It’s not just about what we present and how we present it (although that’s the part we tend to have the most control of, if you can call it control). During the 25-or-so years (ack!) that I’ve been working in the museum field, our understanding of the diversity of visitor needs, wants, and interests has steadily grown. 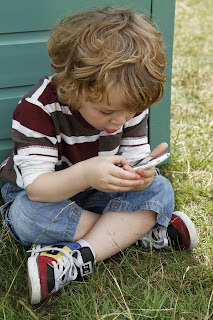 Researchers have identified a range of learning styles, motivations, expectations, etc. that all play into the complex equation that is a satisfying visit. 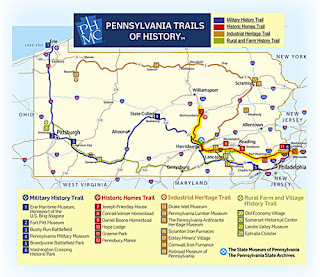 Visitors to our sites on the Trails of History find a variety of options for learning about Pennsylvania’s heritage (which is usually at least a part of the reason for choosing us). Always looking for ways to enhance the experience of the people who come to see us, our staff periodically evaluate tours, programs, and events (both formally and informally) to make sure they are serving our audiences. And all of us are trying to keep up with social media and the rapid changes in technology to figure out how/if they make sense for history museums. So, as a way to (I hope) get a conversation started, there’s a new poll (somewhere on the right side of your screen) asking for some basic info from you about your preferred way to tour a historic house, history museum, or historic site (please focus on history rather than other types of museums). I realize that there is often some overlap between the options listed in the poll, but it’s designed to let you choose only one. I’ll leave the poll in place for a couple of weeks. Please also feel free to submit comments (click on the number next to the word “Comment” at the top of this post). This just in: After six years of waiting, the State Archives research room will be closing for renovations on Monday, October 18, 2010. The last day of public access will be Saturday, October 16. We anticipate that the research room will reopen for public use on February 3, 2011. Many thanks to guest blogger Linda Bolla for this week’s post. The photos are by Linda, John Baker, and Lance Barclay. Tall Ships Erie (September 9 – 12, 2010) was a larger event than one can cover in a single blog posting, so I’ll focus on that part I know best, the educational programs offered on Friday and throughout the weekend. Friday, September 10, was the largest one-day educational undertaking in the history of Niagara and the Erie Maritime Museum. 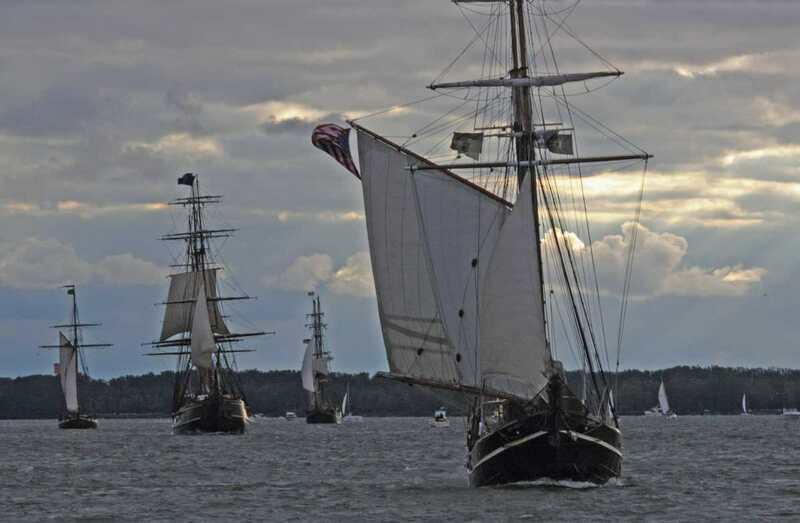 Organized by long-time volunteer and retired Erie educator Mary Jane Koenig and her committee, over 3,600 students were given a Tall Ships experience they’ll never forget. The fifty schools who participated came from all over the Western Pennsylvania counties, and included all types of institutions: public, private, charter, home school, and even cyber schools. All students went onboard at least two of the Tall Ships, and listened to dockside presentations on those they did not visit. Most teachers made a full day of it, touring the Museum, as well, to see sail handling and gun drill demonstrations done by Ship’s Company, Niagara’s Living History group. They could also take advantage of the Maritime Film Festival, featuring educational short films throughout the day, to get off their feet for a few minutes and regroup. Later that day, almost 200 people attended the Flagship Niagara League’s annual commemoration of the Battle of Lake Erie, held on Presque Isle at the Perry Memorial Monument. The program included patriotic songs, performed by Lake Erie Sound Quartet, and remarks about the Battle by Erie Maritime Museum Site Administrator Walter Rybka. 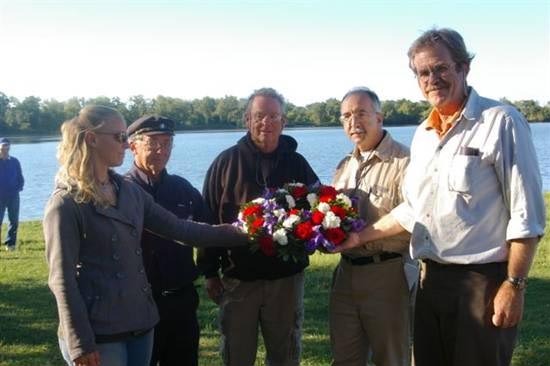 It was a most poignant moment in the service when several of the Tall Ships Captains placed a wreath honoring the men of both the American and British fleets on Misery Bay. Niagara spent the winter of 1813-14 at Misery Bay, and was later sunk there. The Tall Ships Erie Festival included a number of local bands throughout the weekend, including traditional music by the Good For Nuthin’ String Band. 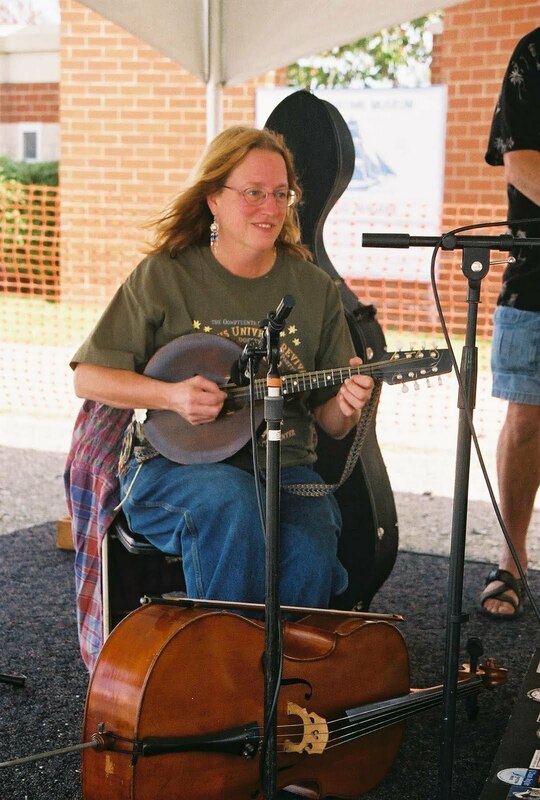 PHMC employees might recognize Sue Beates, stepping out of a familiar role as Historian/Curator II at Drake Well Museum to play mandolin with the band. Many thanks to Sue and the band for contributing their time and talents. Autumn is officially here, if it doesn't get washed away by the remnants of Hurricane Nicole. 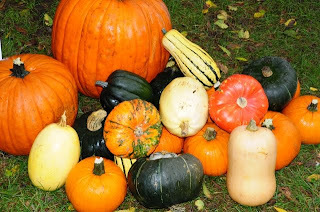 No matter, there are lots of fall and harvest programs on the Trails of History, not to mention some Halloween-inspired offerings. Most sites are closed on Oct. 11 for Columbus Day; the only exception I’m aware of is the Railroad Museum. So start digging out those sweaters and join us for a lively and lovely October. Oct. 23: Haunted History Hayride—tour the battlefield in a hay wagon and find scary sights from Pontiac’s War. Reservations required. Oct. 15-16, 22-23, 29-30: Halloween Tours—ghostly walking tours of the Village (bring your own flashlight or purchase a lantern at the museum). Rain dates are Oct. 17 and 24. Oct. 22: Community Day—educational program featuring lots of hands-on activities, perfect for school and homeschool groups. Advance registration is strongly encouraged. Oct. 22-23: Mysterious, Melancholy, and Macabre: Stories from Early Lancaster County—dramatizations of stories pulled from local 18th-century newspapers (murder, arson, lightning strikes, and rabies) and maybe a ghost or two. 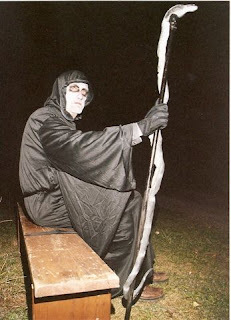 Weather permitting, the program will take place outside by candlelight; please dress accordingly. Oct. 30: Lecture, “Victim of Honor: The Story of John Yeats Beall and the Northwestern Conspiracy,” James E. Duffey, speaker. Adjunct professor of Am Hist Kent State Univ, Stark Campus (Canton, OH) and author of Victim of Honor, which recounts the unsuccessful effort to free Confederate prisoners from Johnson’s Island (near Sandusky). Oct. 15 and 30: Paranormal Investigations—Friends of Graeme Park are working with National PA Paranormal Investigators (NPPI) for a series of programs. Reservations required. Oct. 22-23, 29: Haunted Moonlight Tours—learn about the history of Graeme Park and tour the Keith House. Reservations required. Oct. 9: Penn Pilsner Oktoberfest—beer, German food, and entertainment, what’s not to like? Contact site for tickets. 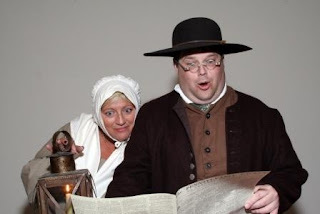 Oct. 10: Living History Theater: The Sotcher Wedding—observe late 17th-century Quaker wedding customs and mingle with other guests as the Penns’ steward and head housekeeper are joined in marriage. 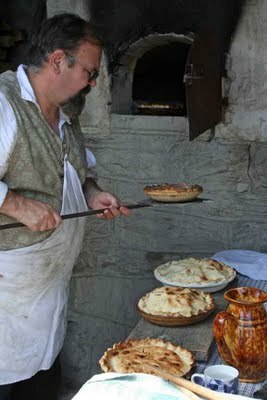 Oct. 17: Open Hearth Cooking: 17th-century Beverages—the cooks will be preparing William Penn’s drinking chocolate as well as posset, syllabub, and more. Oct. 31: Living History Theater: Witch Trial—observe and participate in a recreation of the 1684 trial of Margaret Mattson, accused by her neighbors of witchcraft. There will also be family-friendly trick-or-treat and fall activities. Oct. 5: Lecture, presented by Central PA Civil War Roundtable, “Shadows of War – Prelude to the First Memorial Day,” Dr. Janice S. McElhoe, speaker—Presentation describes events in Boalsburg before and during deployment of Company G of the 148th Pennsylvanians to the Civil War. Oct. 25: Lecture, presented by Friends of PMM, “Enter and Die: Forty Years Later,” James Milliken, speaker—Milliken will talk about events chronicled in his book, Enter and Die, describing his experiences as an infantryman in Viet Nam. 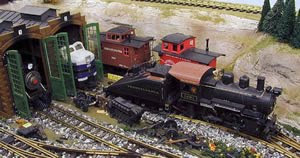 Oct. 8-10: Model Railroading Days and Garden Railways Tour—model railroading activities for kids and grown-ups at the museum Friday-Sunday; Garden Railways Tour on Sunday afternoon features eight operating garden railways at private homes (a separate ticket is required and can be purchased at RMP, National Toy Train Museum, or Stauffers of Kissel Hill stores in central PA—or enter a contest to win tickets). October: Archaeology Month—visit the archaeology dig at Fort Hunter, just north of Harrisburg. Weekdays from 9:00 am to 4:00 pm (weather permitting), State Museum archaeologists will be continuing their excavations and welcome the public to come see what’s up. For more info, visit This Week in PA Archaeology.